We love summer beach wedding! 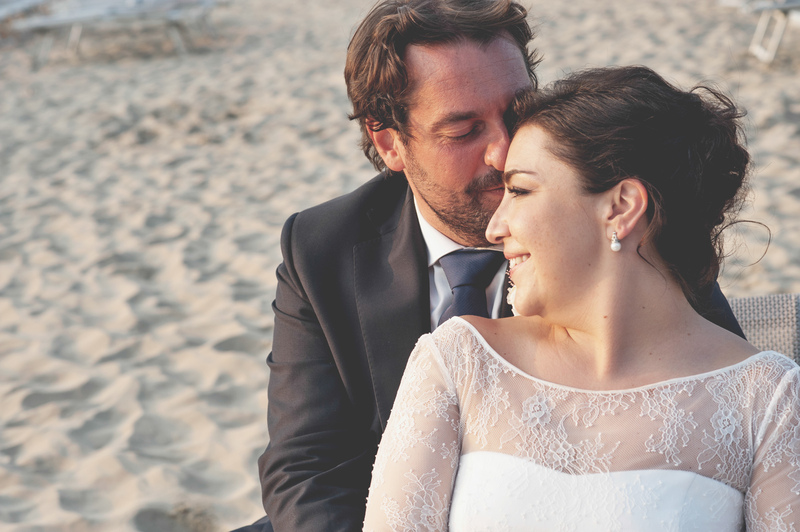 We love our brides and grooms, but there are some of them we fall in love with at first sight, like Erika and Giuseppe! When we met Erika and Giuseppe for the first time, they talked us about their love and their place of the heart: San Felice Circeo. 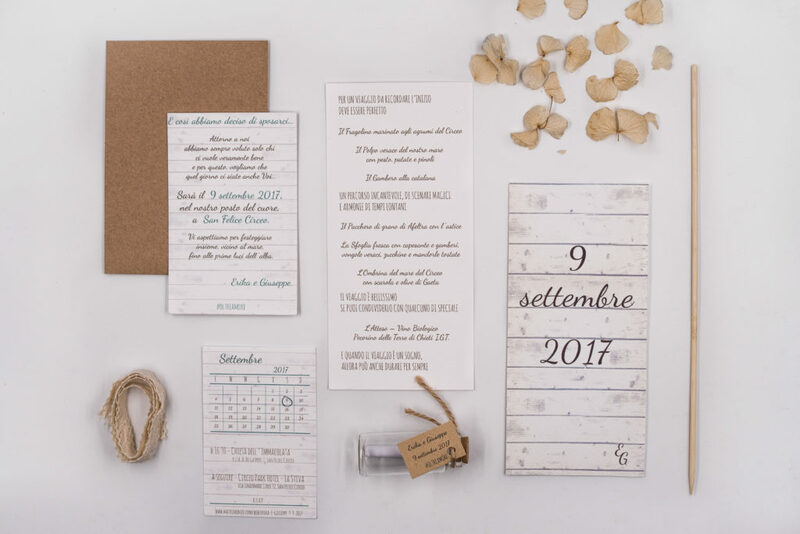 For the ceremony they chose to celebrate their love by the seaside in September, in a little church, Chiesa dell’Immacolata, close to a pine forest and a few minutes by walk by the sea and the reception venue. For the reception and the wedding party they chose La Stiva Restaurant a bathhouse they used to go during their summer holidays. The mood of their wedding was their own love story, a collection of their best moments and the dates related to. Everything in the wedding design of Erika e Giuseppe talked about love, their love. For her fairy day, Erika was wearing a beautiful and precious bridal gown of Elisabetta Polignano, from Il giardino fiorito delle spose in Rome. The delicate and soft floral design was made by Copihue Floral Studio, that proposed natural and elegant flowers, very unconventional but fancy at the same time. The photo reportage is by Patch Wedding and the gorgeous film by Gabriele Davì.